I am happy to tell you that I am now a 'Vegetarian and Vegan Nutritional Therapy Practitioner.' Why is this good for you? 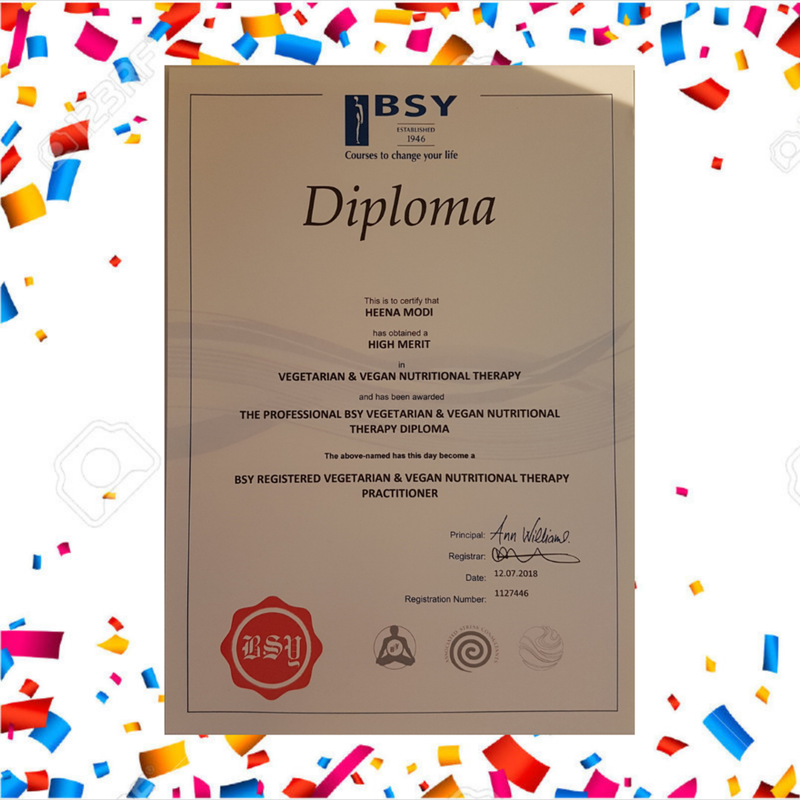 Well, it means that, not only am I a qualified Nutritional Practitioner but, after completing this second course, I am able to help vegans and potential vegans even better! I have been vegan for over a decade and I haven’t felt better! I didn’t expect it, but there were some surprising (positive) side effects, which resulted in health improvements. The greater benefit came from my thoughts and behaviour aligning, which brought about a kind of peace. It was emotionally liberating! Now you may wonder why I’m sharing that with you. It’s because I would love to help you shift towards veganism. If you’re already vegan, I would love to help you maintain it. I am aware that your reason for exploring veganism may not be the same as why I went vegan. The changes that were important to me may not be the same for you. The pace you want to take may not be the same that I took. None of these things matter. The motivations, journey, perceived benefits, challenges, surprises and successes won’t be the same for everyone. My only goal is to make it easier for you, so that you can remove the gap between what you want to achieve and making it happen. This training will help me support you better. How will my training benefit you? All of this and more will enable me to help you, and I can't wait to do it! Do you have any concerns or questions about nutrition for vegans? I would love to hear from you, so please drop me a line using the form below. Vegan gifts truly are everywhere!